A light strip comprises an elongate core layer of insulating material having a plurality of light mounting apertures extending through the core layer between the two opposed faces of the core layer and receiving respective light emitting diodes therein. Two conductive elements extending in the longitudinal direction along the outer surface of the elongate core layer between which the light emitting diodes are connected. A cover layer spans in the longitudinal direction adjacent each one of the two opposed faces of the elongate core layer to enclose opposing ends of the light mounting apertures with the light emitting diodes therein. This is a high efficiency LED strip lighting system for the home and businesses. 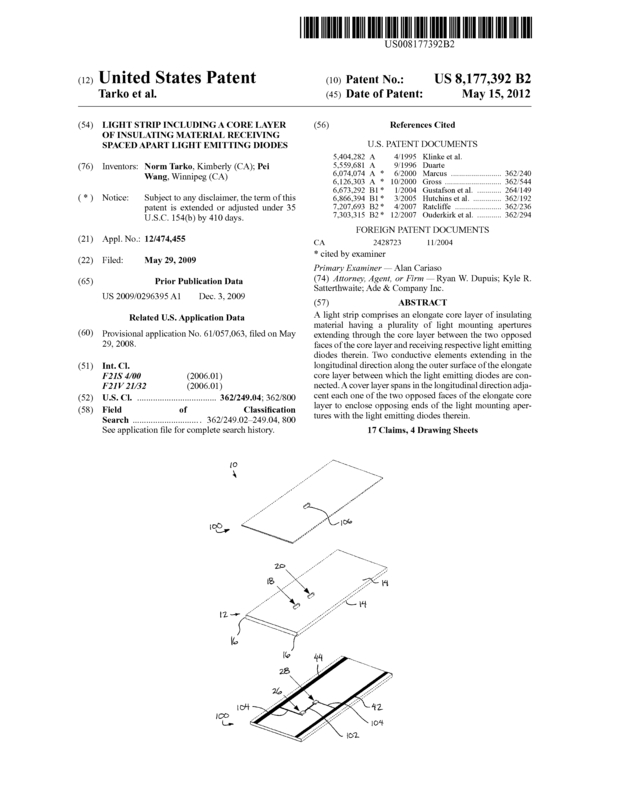 Page created at 2019-04-22 14:56:03, Patent Auction Time.